Aminu Gamawa, PhD, lawyer, Harvard fellow and social commentator, used one tweet to summarise a million words. “I doubt if President [Muhammadu] Buhari has said or done anything, since he was elected, that cost him many supporters and goodwill more than the recent statement on Nigerian youths,” he tweeted as the presidential jibe went globally viral and incurred an unprecedented backlash. At the Commonwealth Business Forum in Westminster on Wednesday, April 18, 2018, Buhari had been asked why he did not sign the African Continental Free Trade Agreement in Rwanda last month. Buhari’s response was not only off-target, it hit the “uneducated” Nigerian youth below the belt. “We have a very young population, our population is estimated conservatively to be 180 million. This is a very conservative one,” he said. So far, not bad. Before the bombshell. “More than 60 percent of the population is below 30, a lot of them haven’t been to school and they are claiming that Nigeria is an oil producing country, therefore, they should sit and do nothing, and get housing, healthcare, education free,” he said. Within the twinkle of an eye, there was massive backlash on social media — and the hashtag #LazyNigerianYouth started trending. Although the president did not use the word “lazy”, there was no better way to summarise “sit and do nothing” as far the youth on Twitter were concerned. The hashtag has recorded hundreds of thousands of tweets and millions of expressions in less than a week. The youth seized the opportunity to showcase to the world the ingenuity of their trade and expertise as Nigerians. Comedians, musicians, and artists were not left behind. Fela Anikulapo Kuti, the musical prophet, was brought back to life to join on this trend. But all of this could have been missed if one young journalist had slept on duty. He is TheCable’s staff writer and columnist, Mayowa Tijani, who broke the story and made the video available — to gag the Doubting Thomases. Tijani, who is a Chevening scholar at the University of Sussex, Brighton, narrates his experience reporting the Commonwealth Head of Government Meeting (CHOGM 2018) in Westminster, UK. “I left the University of Sussex at 3:30am, Monday morning, to make it to the Press Centre in time for the first event of the Commonwealth Forum for 2018. I had barely slept two hours before hopping on a bus, and then got on the train and of course the crowded London underground,” he says. “Long and short, I covered events from the first day. The second day, I had it on good authority that the president would be ringing the opening bell at the London Stock Exchange, but he didn’t show. Okechukwu Enelamah did the honour. “I ran back to school for a meeting with Debola Williams of Red Media, the Vice Chancellor of the University of Sussex, and some very important people. After the meeting, I was on the next train to London to attend Tunde Fashola’s session on Nigeria’s urban plan. I worked late into the night. Trying to catch up on the class I missed on Monday and report the stories for the day. “The way the CHOGM press team worked was quite rigid. After being accredited to cover CHOGM, you needed passes to attend any event you wanted to. You send a mail to register for an event. The limit for most event was six journalists per pool. So not every journalist could attend every event. It was first come, first served. “So I registered to attend the Commonwealth People’s Forum and Business Forum on Wednesday. I knew Tunde Fashola, minister of power, works and housing, was speaking at CPF, and expected a Nigerian at the business forum. “To my knowledge, I was the only Nigerian journalist present at the event. Other people I knew from the most popular TV stations, radio and newspapers had complained that they didn’t make the pool. “I felt I was responsible to nearly 200 million Nigerians to report nothing but the truth, considering I was the only ‘eye’ there. I had a question on the Continental Free Trade Agreement which the president withdrew from signing in Rwanda. But someone else asked my question. So I was quiet, waiting for the answer to ‘why the president didn’t sign the agreement after months of preparation and planning’, but the next words from the president were a shocker! “As a Nigerian youth, who had worked hard for the better part of my life to get the opportunities I have today, I felt embarrassed. It was worse for me, knowing that a Nigerian youth was awarded at the Commonwealth Youth Forum, only a night before. Many others were doing awesome things at the same meeting. I would write their stories soon. In that moment, I doubted my ears. Tijani says he always got to the Press Centre early to get on the right pool for events. 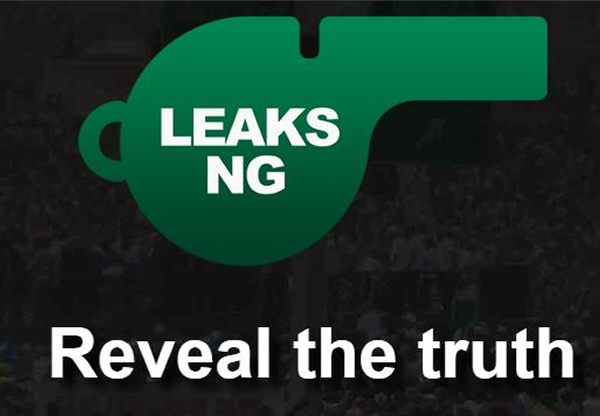 As expected, TheCable and Tijani were under pressure to take the story down, but the 27-year-old says his experience with such matters came to bear. “Journalists who had seen the story on TheCable came to meet me and asked if Buhari really said it. I said I was there, heard him with my ears, which I no longer doubted, and saw him with my eyes. Some still did not believe,” he says. “Some calls had gone across to my office putting pressure on us. Some persons with the government met me and added more to the pressure. And, of course, paid political jobbers on the social media also called me out, some insulting me outright. “But I had been here before. These waters were familiar to me. In April 2016, during the World Bank/IMF meetings, Ngozi Okonjo-Iweala said there was ‘zero political will to save under Jonathan’, and that was what I carefully reported. TheCable was forced to release the video. Nigerians eventually judged who was right. “We were right, our story was authentic. Politicians are made for politics. Let journalists be made for truth, accountability and evidence. So I was prepared for the denials again before we released the video for Nigerians to judge again,” Tijani adds. He said on this occasion, someone from the presidency confronted him and asked why he wrote the story considering the potential damage. “I gave them a background of myself, before I gave an answer: I am studying Media Practice for Development and Social Change. I learn these things in theory and practice. So I asked myself, if I did not report it, what happens? The president gets away with embarrassing over 100 million Nigerians, and foreigners, who filled that room that afternoon, will think of us as such,” he reveals. Taiwo George, editor of TheCable, says “as long as it is Mayowa that does a story, I never have any doubts because he is a thoroughbred, a role model in journalism… his stories don’t give me any headaches as per quality and authenticity”. Simon Kolawole, founder and CEO of TheCable, says he can only heap praises on Tijani whom he describes as “the rising star of Nigerian journalism”. Kolawole, who himself came under severe personal attack from the presidential media team and its cyber agents over the story, says he would not “trade Mayowa Tijani for any journalist in the world”. “The president’s media handlers are going around badmouthing me and threatening me over the report, and many other reports done by TheCable. If only they knew the team of young, dedicated, independent and intelligent guys at TheCable. They make me feel like a star. The average age of our team members is 25 — most of them are on their first jobs. They do all the good work but unfortunately for them I get all the credit,” he says. Much more than expected, Nigerians took the story and made it theirs, turning so much heat on the president and an apparent detachment from the Nigerian reality. Pius Adesanmi, academic and social commentator, and author of Naija No Dey Carry Last. It's as if they sent the man to his deputy. He was ill in London, his 2nd calabash went around southeast and south south on a healing expedition. He returned & destroyed d little gains. 2nd calabash is touring youth establishments & inspiring them, he goes to London to dabaru it. Aisha Oshori, author, Love does not win elections. We must refrain from asking our youth why their feet are dirty, when we don't even give them shoes. I will never refer to Nigeria's youth as people who sit and do nothing. They are hardworking. I should know, I have thousands of youths working for me all over the country who have been the backbone to our success. Nigerian youths are extremely hard working. Their creativity & innovation are fundamental drivers of our economy and nation. From the creative industry to banking, agriculture & our military, our youths make our nation exceed daily. God bless the Nigerian youths. Whoever says Nigerian youths are lazy should just buy a mirror and he or she will see the real definition of laziness! I have over 1000 Nigerian youths in my employ and not one of them is lazy. The trouble isn't that Buhari said that Nigerian youth are lazy. It's what he said it in response to. The question DID NOT mention Nigerian youth. Tijani is a journalist, an award-winning public speaker, and a 2017 Chevening Scholar. He is a graduate of the University of Ibadan as well as the Nigerian Institute of Journalism, and is currently studying Media Practice for Development and Social Change at the University of Sussex, UK. In 2012, he and a bosom friend Samuel Osho, co-founded TheCourtroom, an advocacy platform breeding young writers and critical thinkers across Nigerian universities. By 2013, he was named the Most Outstanding Student in Campus Journalism by Junior Chamber International (JCI). In the same year, Tijani won the Nigerian Championship of Public Speaking, and was certified a Competent Communicator by Toastmasters International in California, USA. By 2017, he was named on the best team of the Bloomberg Media Initiative Africa (BMIA) cohort three, and was also nominated for The Future Africa Awards (TFAA) Prize in Journalism, and Thomson Foundation Young Journalist Award at the UK Foreign Press Awards. Most recently, he was named as one of 50 young leaders from over 144 countries to discuss human rights issues at the Cumberland Lodge, Windsor Great Park, UK. As a development journalist, Tijani has worked with the UK Department for International Development (DFID) and the Wole Soyinka Centre for Investigative Journalism. He’s one of the few journalists from across Africa, trained by the United Nations Millennium Campaign as media ambassadors for the sustainable development goals (SDGs). As a budding academic, Tijani has delivered papers on his research on Humour for Development and Social Change at the University of Sussex, and University of Bristol, UK. He joined TheCable as an undergraduate in 2014, going on to become the first graduate intern at the budding online newspaper then. He also did his national service at the newspaper and got an automatic employment. Tijani maintains a weekly column at TheCable, which further focuses on national development. He also attends and reports the World Bank and IMF Spring and Annual meetings in Washington DC. His works have been quoted by Bloomberg and BBC. He is certainly not among the uneducated and nothing-to-do youth “waiting for oil money”. Tijani can be reached @OluwamayowaTJ on major social media platforms. Ha! where is Nigeria headed to with people like you?! The young man reported what was said by the president and presented facts to back up his report! Now nickums like you have the effrontery to twist facts? wow! Even to the point of accusing the man as anti-buhari? BET IN YOUR DREAMS! It is unscrupulous elements like you and Felix Ojieh who should change their values! Your fallacy stink!